Solid, dependable performance that’s perfect for family camping and demanding outings alike. Portable, spacious and easy to pitch – Onyx is an affordable Nordic tipi that’s a truly reliable friend. Onyx gives you performance with economy. It’s simple by Tentipi standards, but still has all the base features that make a Nordic tipi so appealing, along with the legendary Tentipi quality. You get the same space and portability as the more technically advanced models, and good ventilation too, but at a lower price. 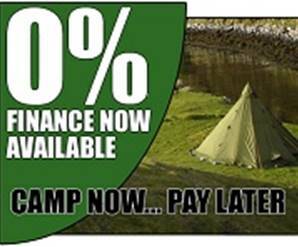 Here’s an affordable Nordic tipi that’s a truly reliable friend when the going gets tough. Onyx will stand strong where others fail. Colour - Light tan, creating a pleasing warm-coloured atmosphere inside. Highly breathable and really strong cotton/polyester fabric, creating a much better internal atmosphere than normally experienced in tents. The tightly woven fabric and high class impregnation gives high water repellency. Lightweight Nylon 6 fabric, PU coated on one side. Carefully selected to be waterproof after prolonged use. All the facts and figures on Onyx. Find out what makes our Adventure tipis so special.